If she could, Tania McCartney would live inside a book, and as an Australian author, illustrator and editor—she kind of already does. An experienced magazine and book editor, independent publisher, features writer and columnist, Tania has over 30 years’ experience in magazines and publishing. She also has over a decade’s experience in book layout, design and typography, and currently has 40 books in print or in production, the majority of them children's books. See books here. In 2013, Tania began reconnecting with illustration and is now creating digital and hand-rendered works, specialising in watercolour, ink and printing techniques. 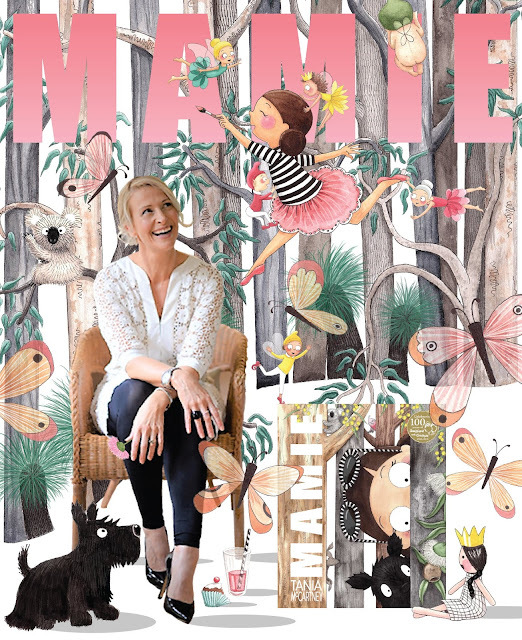 Her first self-illustrated book, Australia Illustrated, was released in 2016. She has since illustrated (or has been contracted to illustrate) two maps and seven books, including This is Home, a collaboration with Jackie French (National Library of Australia, Apr 2019) and the first trade picture book on the life of May Gibbs (Mamie, HarperCollins, Nov 2018). Her illustrations are now featured in a series of greeting cards with Nuovo Group, and one of her works featured in the Flow Magazine 2019 calendar (view it here). She recently designed the Illustrator Showcase poster for the SCBWI Australia East/NZ International Conference, Sydney, February 2019. The founder of Kids’ Book Review, the 52-Week Illustration Challenge, and The Happy Book children's book podcast for creators. Tania is also an experienced speaker and presenter, running workshops for schools and organisations such as the ACT Writers Centre, the Australian Society of Authors, the National Centre for Australian Children's Literature, the Children's Book Council of Australia and the Society of Children's Book Writers and Illustrators. Her festival experience includes the CBCA National Conference, SCBWI Conference and the Asian Festival of Children’s Content in Singapore. Tania’s books have won awards and shortlistings, and have been released in Australia, NZ, the UK, the US, Canada and China (two have been translated into simplified Chinese). A National Library author, she is also published by several trade publishers, specialising in picture books, juvenile non-fiction and junior fiction. Recent awards include several CBCA Notable books, the SCBWI Crystal Kite Award 2017 (Australia/New Zealand) for Smile Cry, and the CBCA Laurie Copping Award for Distinguished Service to Children’s Literature 2017. In 2017, she was awarded a May Gibbs Children's Literature Trust Fellowship to Adelaide (November 2018). Tania loves calendars, maps, wreaths, gardening, yoga, wasabi, nutmeg, sparkling mineral water, paper and photos, and very best of all ... sprouting a love of reading in children. 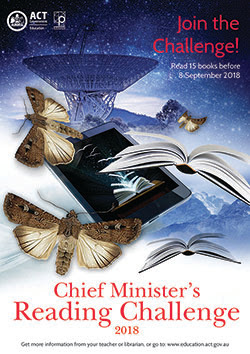 A juvenile literacy champion, she is a past ambassador for the National Year of Reading and a current ambassador for the Chief Minister's Reading Challenge (ACT). Tania has lived in France, England and China, and currently lives just outside Canberra with her family, a forest of artwork and a mountain of books. For more, including information on achievements and awards, see Résumé, below.